The winter sports season is in full swing, and spring sports are a ways off, but safety comes first, no matter what the sport or the season. "Every team and athlete should have sports safety as a top priority," says Larry Cooper, chair of the National Athletic Trainers' Association Secondary School Committee and head athletic trainer at Penn Trafford (Pa.) High School. "It's vital for coaches, athletic trainers, parents and the athletes themselves to maintain good communication and follow guidelines to ensure all participants are fit for play." In March, the NATA will be hosteing its 5th Youth Sports Safety Summit with the support of the Youth Sports Safety Alliance , now composed of more than 100 organizations, including MomsTEAM, committed to keeping athletes safe. Last year, the NATA launched the first-ever National Action Plan for Sports Safety  and issued a Student Athlete Bill of Rights . "Each athlete is entitled to appropriate care, prevention and treatment of injuries should they occur," says Cooper. Here is a sixteen-point sports safety checklist to keep athletes in the game. How many is your child's program following? 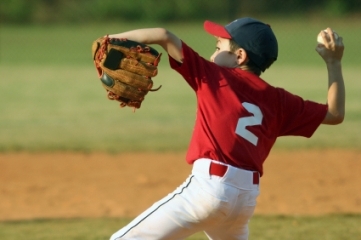 Make sure the athlete is physically and mentally in the game: Parents, with assistance from coaches, should determine whether their children are physically and psychologically conditioned for the sport/activity level they're playing. Do not push children into something they do not want to do. Additionally, if an athlete has been injured and is returning to sport, it's critical for him or her to have the right mind set and confidence  to return to play and avoid repeat injury. Get a pre-participation exam: All athletes should have a pre-participation exam  to determine their readiness to play and uncover any condition that may limit participation. Follow a team approach to care:  In the case of injury, find out who will provide care and ask to review their credentials. Many schools and sports teams rely on athletic trainers or parents with medical and first aid training and certification to keep kids safe. Yet less than half of high schools have access to athletic trainers . Beat the heat: Acclimatize athletes  to warm weather activities over a 14-day period. The goal is to increase exercise heat tolerance and enhance the ability to exercise safely and effectively in warm and hot conditions. Should heat illness  occur, cool first and transport second: immediate cold water immersion  is critical to reducing the athlete's temperature rapidly. Determine core body temperature to best assess the athlete's condition. Use your head: Athletes should be encouraged to speak up  if they are suffering any related symptoms  (dizziness , loss of memory , fatigue). Concussions must be carefully managed using follow up assessments of symptoms , neurocognitive function  and balance , prior to initiating a gradual return to play . Should a more serious brain injury  occur, the medical staff should be prepared to transport the athlete to a facility, while ensuring adequate ventilation and elevating the head to decrease intracranial pressure. Maintain heart health: Recognition is vital to treatment: sudden cardiac arrest  should be suspected in any athlete who has collapsed and is unresponsive. Public access to early defibrillation  is essential: a goal of less than 3-5 minutes from the time of collapse to delivery of the first shock from an automated external defibrillator (AED)  is strongly recommended. Most schools now have AEDS (although a recent study  suggests that many are nevertheless unprepared for a cardiac emergency). Ensure that the medical expert and other personnel know where they are located, how to use them and that they are placed on sidelines during competitions and games. Share an athlete's medical history: Parents should complete an emergency medical authorization form, providing parent contact information and permission for emergency medical care for the student athlete. Check with your school/league to obtain the form. Ensure equipment is in working order: Make sure all equipment ranging from field goals , basketball flooring, gymnastics apparatus and field turf  are in safe and working order. This also includes emergency medical equipment such as spine boards , splint devices, AEDs  (which should be checked once per month; batteries and pads need consistent monitoring and replacing). All it takes is a slip on a wet surface or twist of an ankle on an ungroomed field  to lead to lower extremity injuries, among others. Ascertain coaches' qualifications: A background check  should always be performed on coaches and volunteers. Coaches should have background and knowledge  in the sport they are coaching. They should be credentialed  if that is a requirement in the state, conference or league. Coaches should have cardiopulmonary resuscitation  (CPR), AED  and first aid training. Coaches should strictly enforce the sports rules and have a plan for dealing with emergencie s.
Ensure appropriate credentials for coaching from the respective sport governing body. Check that locker rooms, gyms and shower surfaces are clean: With the advent of MRSA and related bacterial, viral and fungal skin infections reported in recent years, it is critical to keep these surfaces routinely cleaned and checked for germs. Athletes must be discouraged from sharing  towels, athletic gear, water bottles, disposable razors and hair clippers. All clothing and equipment, including bags, should be laundered and/or disinfected on a daily basis. Be smart about sickle cell trait  All newborns are tested at birth for this particular inherited condition and those results should be shared during a pre-participation exam . Red blood cells can sickle during intense exertion , blocking blood vessels and posing a grave risk for athletes with the sickle cell trait. Screening and simple precautions may prevent deaths and help the athlete with sickle cell trait thrive in his or her chosen sport. Know the signs and symptoms (fatigue or shortness of breath) to differentiate this condition from other causes of collapse. Ensure an emergency action plan is in place: Every team should have a written emergency action plan , reviewed by the athletic trainer or local Emergency Medical Service. Individual assignments and emergency equipment and supplies  need to be included in the emergency action plan. If an athletic trainer is not employed by the school or sport league, qualified individuals need to be present to render care. Knowing that a school has prepared for an emergency will give parents peace of mind. Adopt a "Time Out" system: Each health care team should take a "Time Out"  before athletic events to ensure emergency action plans  are reviewed and in place. Determine the role of each person; communication coordination; presence of ambulance; designated hospital; test of all emergency equipment; issues that could impact the plan such as weather  or other considerations. Build in recovery time: Allow time for the body to rest and rejuvenate in between practices, games and even seasons. "Recovery time is essential," says Cooper. "Without rest and a change of motion and activity, we put young athletes at risk of repetitive or chronic injury. " Breathe easier: Athletes with asthma should be properly educated  about their condition, appropriate medications, use of inhaler equipment and how to recognize "good or bad" breathing days to prevent exacerbation. A warm-up protocol may decrease the risk of asthma or reliance on medications. Stay smart about steroids: Use of anabolic-androgenic steroids can lead to a host of negative effects  on the health and well-being of athletes and non-athletes alike. Be aware of signs and symptoms  of misuse including: rapid body mass or increase in performance; extreme muscular growth; abnormal or excessive acne, unexplained hypertension, moodiness, aggression,depression or obsession with exercise and diet. Report this immediately to the athletic trainer or other school medical professionals. "It's critical that all members of a school's athletic health care team, parents, teachers and others involved in the care of the athlete have ongoing communication to ensure a safe sports setting," says Cooper. "With those protocols in place, athletes can enjoy the great spirit, competition, and accomplishment that come from safe and fair play." "And, if your school is following the right protocols, enter it in the NATA Safe School award program  that recognizes schools implementing appropriate steps to keep athletes safe. It is a win-win for students, the athletic health care team and school at large."